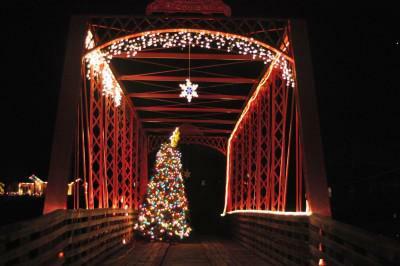 If you have some free time during the holidays, or you're looking for an excuse to take a break from your relatives, then I have the perfect mission for you: nominating a worthy bridge for the 2013 TRUSS Awards. This award is intended for historic bridges that are threatened with demolition or neglect, but are worthy of saving. To nominate a bridge, navigation to that bridge's page and then click the yellow "Nominate" button. If a bridge isn't listed, then follow this link. The deadline for nominations is January 18, 2013.